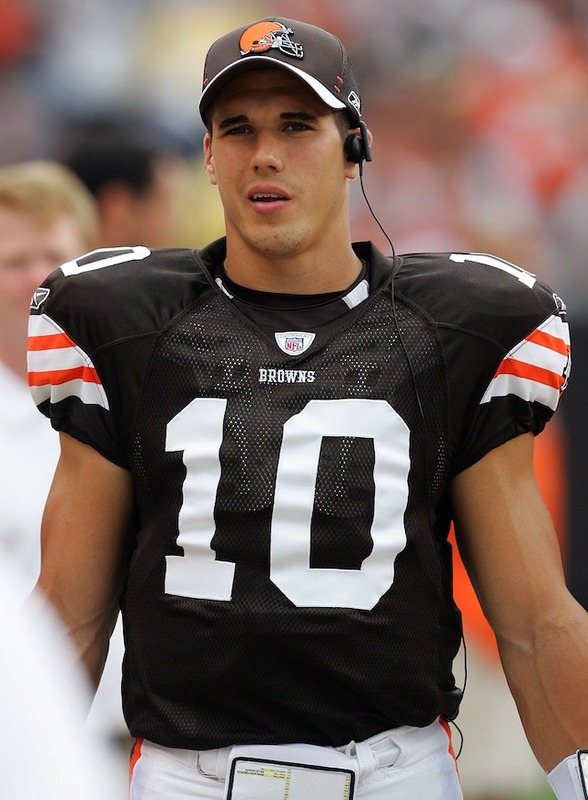 NFL: Can Vince Young or Brady Quinn Make a Successful Comeback? Two former first-round draft picks, both of whom were once viewed as franchise-saving quarterbacks, are reportedly attempting to revive their once-promising NFL careers this offseason. 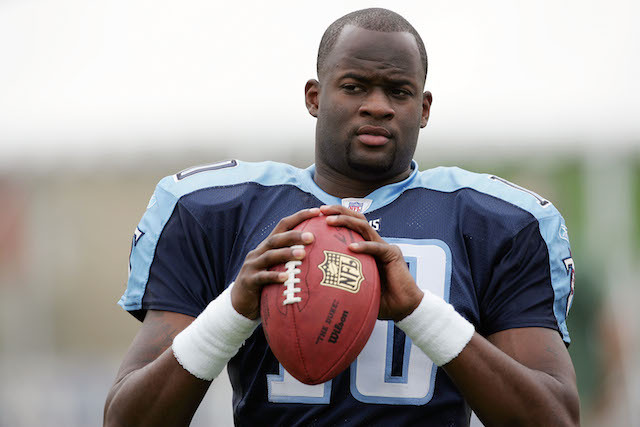 Vince Young, the third overall pick in the 2006 NFL Draft, and Brady Quinn, the 22nd overall pick in the 2007 NFL Draft, are both working out in hopes that they get a phone call offering them an opportunity to make one more attempt at an NFL comeback. Young announced his retirement from the NFL in June, and while Quinn has never formally retired, he did make the move from the field to the broadcasting booth for the 2014 season. Young hasn’t started a game or been on an active NFL roster since the 2011 season with the Philadelphia Eagles. Likewise, Quinn hasn’t seen any NFL game action since the 2012 season with the Kansas City Chiefs but was on the St. Louis Rams’ active roster as a backup in 2013. Carving out a lasting career in the NFL is no easy task; making a comeback is even harder. That’s why the running cliché around the league is that NFL stands for “Not For Long,” rather than National Football League. Both Young and Quinn face uphill battles in attempting to make their comebacks to the NFL. However, given the fact that the majority of the teams around the league are desperate to improve their quarterback situation, there may actually be market for these former highly touted quarterback prospects. But the question remains: Will there be a team that thinks Young or Quinn can actually make the organization better based on what they’ve shown on the field throughout their professional careers? Only time will tell, but each player brings a different skill set to the table that may be attractive to different teams. There was some curious speculation when news reports signaled that Young would taking part in the inaugural NFL veteran combine. 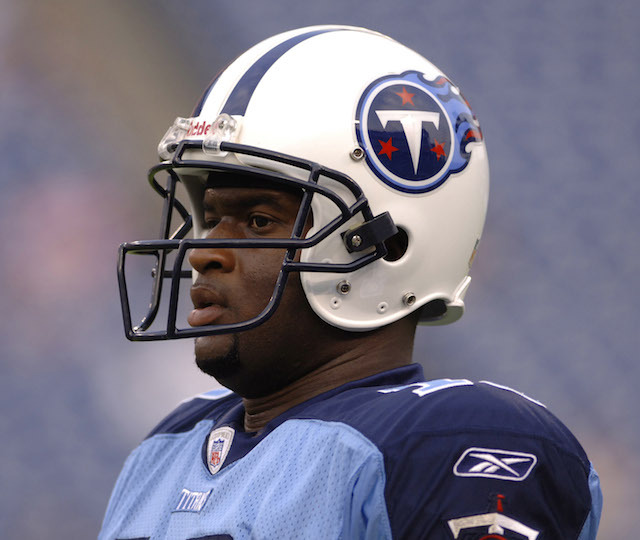 Young’s career has seen plenty of ups and downs, with the former Texas Longhorn winning the NFL rookie of the year award in 2006 with the Tennessee Titans but then losing his starting job only a year and a half later. He had a chance to revive his career with the Philadelphia Eagles in 2011 but was well below average in his time filling in for Eagles starter Michael Vick. That year in Philadelphia would be his last season on an active roster in the NFL. While Young is correct in asserting that there were some bad quarterbacks playing in the NFL in 2014, he seems to be forgetting that his career NFL quarterback rating was a mere 74.4, which, as Chris Branch of The Huffington Post pointed out, would have ranked Young 32nd out of 34 quarterbacks who played enough to qualify in the league’s official statistics in 2014. That number doesn’t necessarily mean Young isn’t worthy of another chance in the NFL, but it would suggest that the chances of Young actually helping a team win games are minimal. Quinn is reportedly hoping to delay his broadcasting career to make another run at being an NFL quarterback. The former Notre Dame signal caller has moved to Florida to train under the guidance of quarterback guru Jeff Christensen, whose prized pupils include Jimmy Garoppolo, Kirk Cousins, and Drew Stanton. Quinn has started a total of 20 games in the NFL, posting an unenviable career quarterback rating of 64.4. His touchdown-to-interception ratio is 12-17, and his win/loss record is 4-16. While Quinn’s time as a broadcaster may have given him an excellent view into how bad some of the quarterback play was around the league in 2014, nothing he did during his NFL playing career would suggest that he can help a team win games in 2015. That being said, Quinn has a pretty good fallback plan, as he was actually an excellent color commentator for Fox Sports in 2014.